This skirt e-pattern will be available for sale in the next couple of days. But, before it comes on for sale, we want to say Happy Valentine's Day by giving one away. As a quick pattern description, the skirt has a solid color yoke with an elastic waist. It has gathered tiers made of 5" squares, and embellished with trims within the squares and pompoms along the bottom. This skirt was designed by my daughter. It is her first design and we are quite proud. The shirt she is wearing with it was made from out Easy Knit Top/Dress pattern. The flower clip in her hair is in our tutorial section. To win the quilt skirt e-pattern all you have to do is comment. There are a few other ways you can get more entries also. If you do any of the extra entries, make sure you post a seperate comment about each of them. The winner will be announced on Monday at 5:00 pm ET. The winner will need to email us at SquigglyTwigs to claim their prize. I'll post our email in the winner's post on Monday. 1. 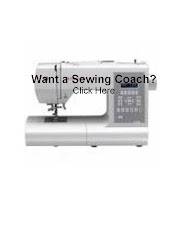 Post a comment about what you'd love to sew. 5. Blog about the contest and link it in the blog post. Don't forget to check back Monday after 5:00 pm ET. Happy Sewing and Happy Valentine's Day! I'm always looking for new patterns! What adorable patterns you have! I have sewn many things from curtains to dresses to pajamas to aprons. I love creating new things! My favorite out of all of those was probably the skirts I made for myself. They are so comfortable and took only 2 hours to make. I'd love to sew this patchwork skirt for dear daughter! I'm following you as "gaileee"! What a fun pattern. I love to sew--especially for my granchildren. This would be a wonderful pattern to use up lot of scraps. Hi I love to come and look at what you are making I am a nervous sew-er but I love all your patchwork patterns and would love to try one of them. On behalf of M from email: That skirt is adorable. My 9 yr dd is learning to sew and I am re-learning with her. We would love to sew things for her to wear. On behalf of M from email: I also signed up to follow you in google reader for a second entry.